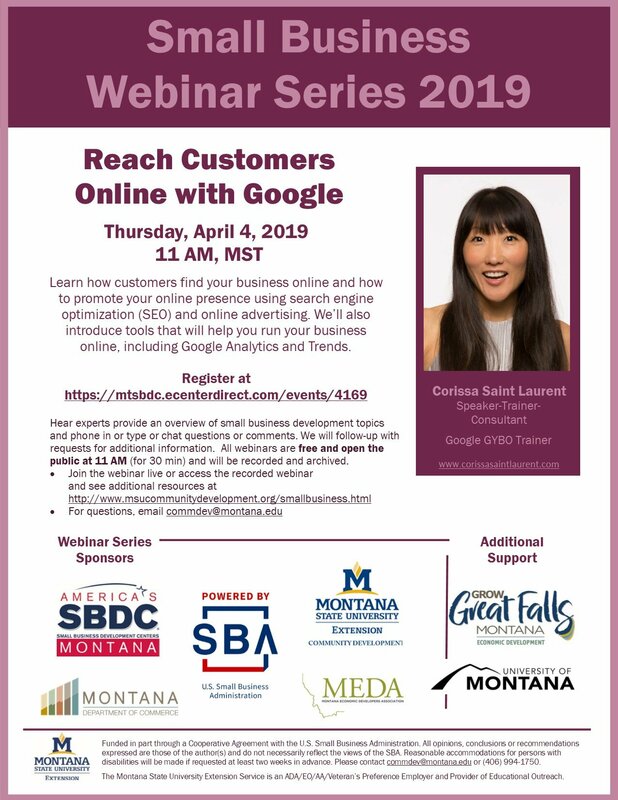 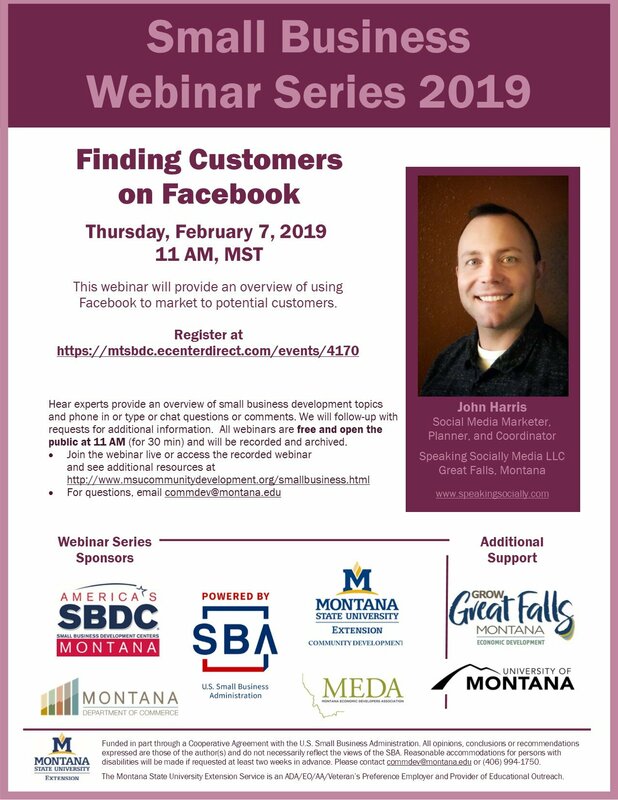 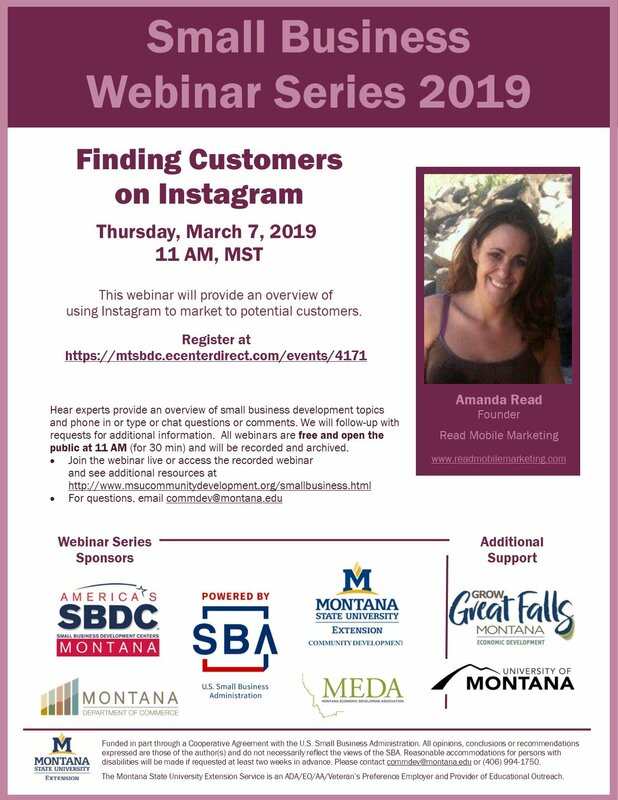 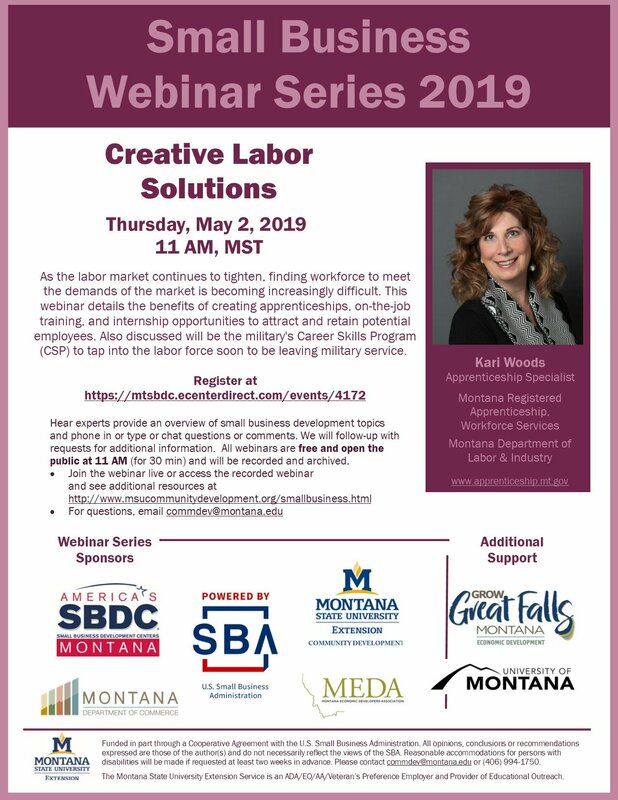 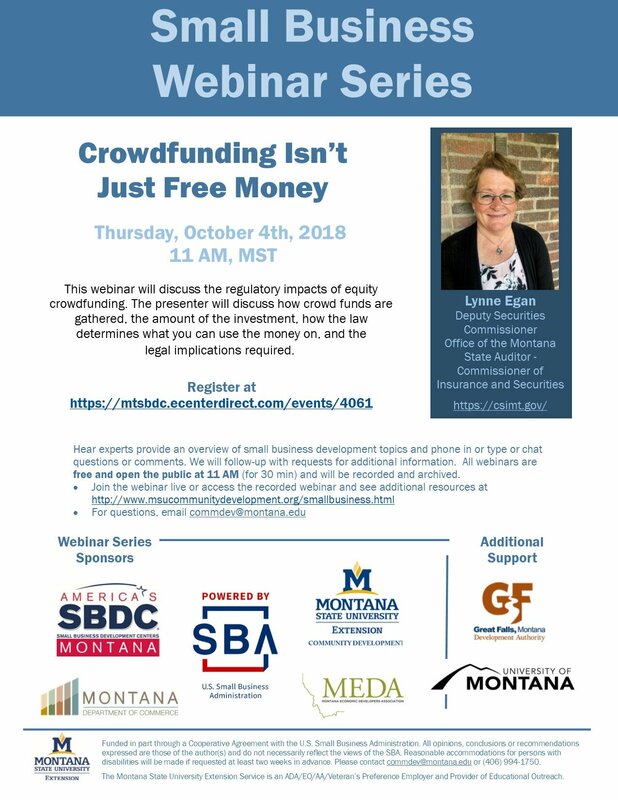 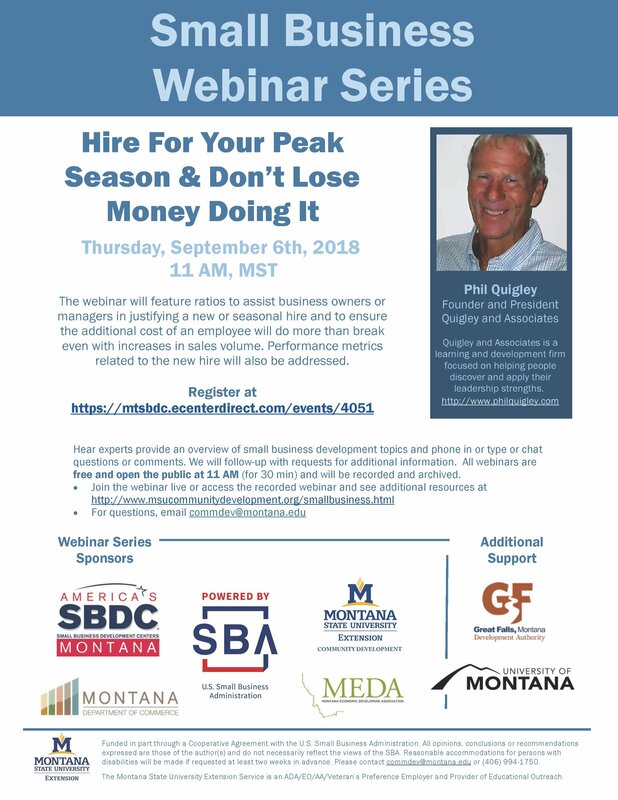 A FREE interactive learning opportunity for small businesses in Montana sponsored by Montana State University Extension, Small Business Development Centers (Montana Department of Commerce and US Small Business Administration), and the Montana Economic Developers Association. 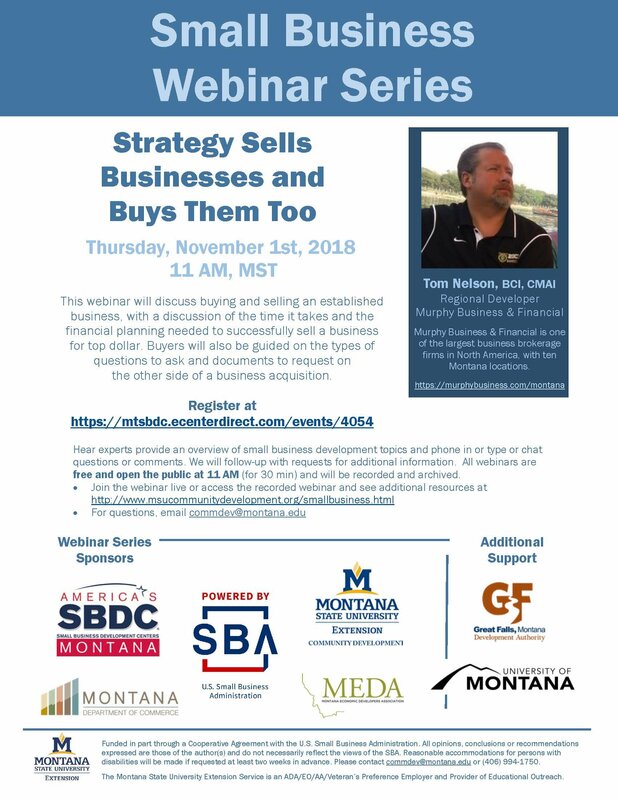 To join the webinar, go to: http://msuextensionconnect.org/commdev then select “Enter as a Guest” and type your Full Name. 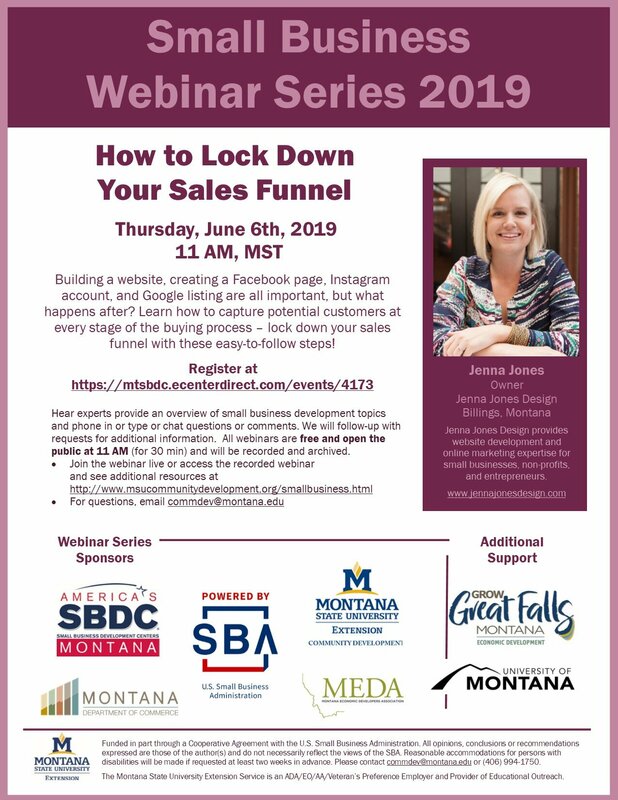 Then click “Enter Room”. 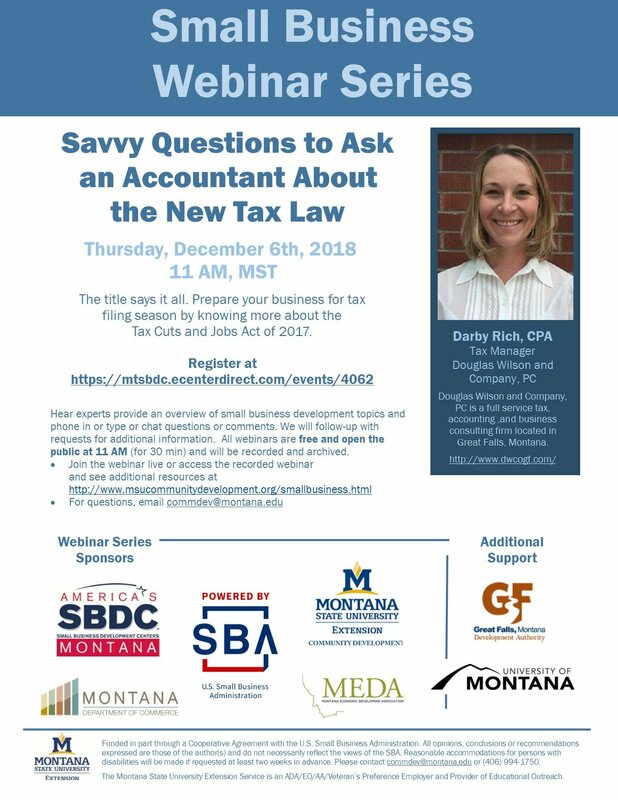 You can listen to the webinar via your computer’s speakers; We have a “Chat Box” for your typed questions or comments. 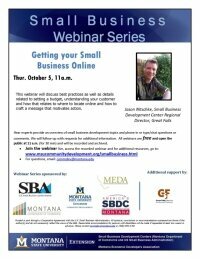 If you encounter any technical difficulties before or during the call, please email commdev@montana.edu. 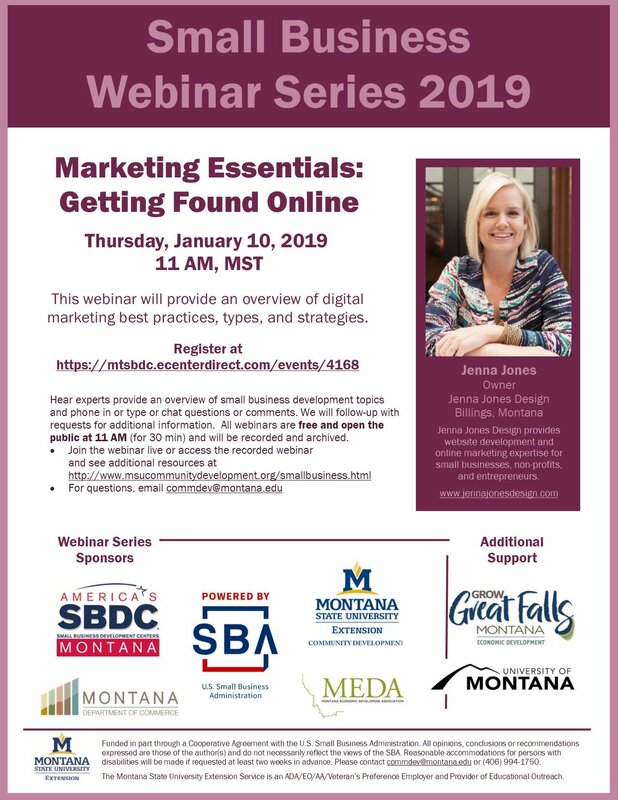 Feb. 1, 2018: Food Manufacturing 101: Get Rich and Don't GO TO JAIL!